There’s a phrase that keeps popping up in discussions of Syria. It’s a string of words that always appear together, without variation, which is a tell for propaganda phrases and talking points. In the context of Libya, there was a line about “African Mercenaries”. The one I keep hearing about Syria is that Assad has “Afghan Shia militias” fighting for him. The phrase caught my attention, because when I heard it used, it was by people who don’t know Afghanistan. The country has sectarian and linguistic differences: there are two official languages (Dari and Pashto), there are different self-identified ethnic groups (Pashtun, Tajik, Uzbek, Hazara), there are rural-urban differences, and there are differences of sect within the main religion (Sunni and Shia Islam). For the first few centuries of its existence, including the first several decades of the 20th century, Afghanistan’s leaders tried to create a nationalism that transcended these differences. Then came the war and the foreign interventions that played the differences up for short-term gain, destroying the country so thoroughly that it now sits near the bottom of the UN Human Development Index. The phrase “Afghan Shia” doesn’t mean much in Afghanistan. There are rare exceptions, but if you are talking about “Afghan Shia”, you are probably talking about the Hazara, a group of people traditionally oppressed along caste and ethnic lines. The one book many Westerners have read about Afghanistan, The Kite Runner by Khaled Hosseini, prominently features the oppression and violence against a Hazara boy, a friend of the protagonist. During the Afghan wars, sectarian warlords and the Taliban singled Hazara communities out for massacres and atrocities. Millions of Afghans fled to Iran during these wars — many of them Hazara – and were mistreated there, often charged with trumped-up crimes and even executed en masse. Nonetheless, there is a long-term community of Afghans living in Iran, many of whom are Hazara. Since the overthrow of the Taliban, there have developed in Afghanistan armed Hazara groups, even Hazara warlords. These groups are mainly preoccupied with self-defense and survival: against the Taliban, other sectarian warlords, and now even ISIS in Afghanistan, which was why I was suspicious of the claims of “Afghan Shia Militia” fighting in Syria. I asked friends in the Afghan diaspora if they thought it was possible. Some thought yes, though none had heard of the phenomenon from the Afghan media or community. I came across two sources about these Afghan Shia Militia in the footnotes of Christopher Phillips’s book, The Battle for Syria. One, an article from May 11, 2015 in Der Speigel by Christoph Reuter, is titled “The Afghans Fighting Assad’s War“. It is hard to tell whether the fact that Germany hosts a big Afghan refugee and diaspora community (or whether racist resentment against Muslim refugees in Germany is often focused on the Afghan community) played a helpful role in finding the hook for this one, but its dubious analysis is on display more clearly in other ways. After an evocative scene with “Murad”, cowering in a pile of Syrian rubble having followed his Iranian officer’s orders, Reuter provides some paragraphs of context. “The Assad family dictatorship is running out of soldiers and is becoming increasingly reliant on mercenaries. 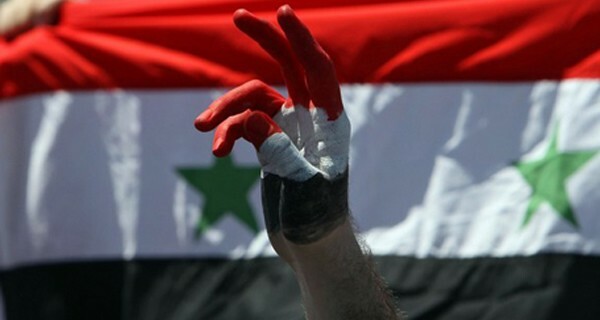 Indeed, from the very beginning the Assad regime had an opponent that it could never really defeat: Syria’s demography. Of course, “Syria’s demography” is only an unbeatable enemy if the demographer is a devoted sectarian who assumes that all Sunni Syrians are against Assad and all Shia, Alawi, or Christian Syrians are for Assad. Such a demographer would be at home in ISIS, in al Qaeda, or in the Saudi Kingdom and if that demographer were correct, yes, because Sunni Syrians are the majority, demography wins. But a full sectarian split in Syria remains an aspiration of ISIS and al-Qaeda, not a reality, despite what Reuter writes. As for Reuter’s picture of “Iranians, Iraqis, Pakistanis and Yemenis – Shiites from all over”, this is a distorted mirror image of the reality, which is that foreign fighters “from all over” have come to Syria to join ISIS and fight against the Syrian government. Drinking in the sectarianism of Wahhabi clerics from the Saudi Kingdom, they hate the Shia and find religious rationales for every manner of atrocity against them. On the other side, Shia militias from Iraq are well-documented in Syria, and given the geography and the connections between the two countries (and the fact that their enemy, ISIS, operates in both countries), it makes sense. So, too, does the involvement of Hizbollah of Lebanon. But the recruitment of sectarian fighters “from all over”? That’s an ISIS/al-Qaeda cause, not a Shia one. It is not until a few paragraphs later, though, that Reuter gets into some really ugly imagery. An “inexhaustible reservoir of the desperate”! By that logic, surely Iran’s population of 79 million would be even more inexhaustible! Some of these millions might be children, elderly, not military-aged, but no matter. Might Iran, whose interest is for Assad to actually win the war, be interested in sending some of its own half-million strong military with some training, equipment, maybe even language skills, rather than recruiting from Afghan refugee camps? Obviously not, for in Reuter’s world, the only qualification is desperation. Reuter then returns to Murad’s story – a refugee arrested for a petty crime in Iran and offered amnesty if he would serve as cannon fodder in Syria. He then repeats the description of an anonymous Syrian rebel, who says the Afghans are “incredibly tenacious, run faster than we do and keep shooting even after they have been surrounded” – like machines, Reuter adds for colour. He outlines what happened to Murad for him to end up under rubble and how he wants to go back to Afghanistan, “to the misery he once tried to escape.” As he hangs out with the rebel commanders who are trying to arrange prisoner exchanges – rebels for Afghan prisoners — Reuter hears that the Syrian government officer Colonel Suhail al-Hassan, aka the Tiger, says “You can kill them, they’re just mercenaries. We can send you thousands of them.” An interesting response indeed for a commander whose army is “running out of soldiers”. In the end, Reuter’s sole sources are anonymous rebels and “Murad”, whose story can’t be checked. The rest is bald assertion and “the Shia are coming” fear-mongering. Another source is a report from the Washington Institute for Near East Policy (WINEP), which Israel Lobby scholar Stephen M. Walt has called” a key organization in the Israel Lobby”. This report, “Iran’s Afghan Shiite Fighters in Syria”, is written by Phillip Smyth, who also writes a blog called Hizballah Cavalcade “which focuses on Shiite Islamist militarism in the Middle East”; and author of another monograph called “The Shiite Jihad in Syria and its Regional Effects”. In other words, expect fair and balanced on this one. Despite the lack of names, Smyth has more than a few “ethnically distinct faces” to show. He cites Afghan writer Ahmad Shuja, who had written about a small refugee community of Afghans (mainly Hazara) who had been living in Syria before the conflict broke out. “Their migration to Syria occurred in several small waves,” Shuja wrote, “with most fleeing Afghanistan to escape ethno-religious persecution and a few settling in the country after their pilgrimage to the holy Shiite sites in the country.” Shuja’s article describes the dire humanitarian situation of these Afghan refugees who were displaced from their neighbourhood of Syeda Zainab in 2012, “easily identifiable by their Asiatic features and foreign accents, making them easy targets for attacks by all sides.” Shuja quotes from a letter from an Afghan refugee reporting that “Afghan Refugees are victimized of torture and they have been threatened just because they are different and they believe in a religion as called ‘Shiite’.” Based on this piece by Shuja, Smyth makes the following suggestion (my emphasis): Fighters from this refugee population appear to have followed an organizational model similar to Liwa Abu Fadl al-Abbas (LAFA), the main pro-regime Shiite brigade in Syria. What follows in Smyth’s piece is a description of LAFA, which it turns out comprises Iraqis, not Afghans. The rest of the article is mainly speculation of what Iran could be thinking by using these fighters. There is mention of Afghans captured by Syrian rebels. Three names are offered: Reza Ismail, who “had attended Iran’s University of Mashhad” and was “beheaded by Sunni jihadist rebels”, Ali Saleihi, an Afghan refugee in Syria who joined the fight and was killed around Damascus, and the aforementioned Mortada Hossein. In other words, the report is a mix of rebel videos, rebel testimonies, mention of “Iranian newspapers and Afghan Shiite sources”, and speculation. By 2016, some amazing numbers are being bandied around. An Iranian foreign legion apparently includes 20,000 “Afghan Shia fighters”, according to Al Jazeera. The source? Anas al-Abdah, “the secretary of the opposition Syrian Coalition’s political committee.” A Guardian report from June 2016, like many others, cites “a senior Iranian official” saying that Iran’s “Foreign Legion”, called the Fatimeyoun, has 18,000 Afghans fighting in Syria. The report acknowledges that the number could be “exaggerated” and cites “an independent Iran analyst” who thinks there are “a couple of thousand” Afghans fighting in Syria. Maybe. But it remains impossible to get verifiable information from rebel held areas, as Patrick Cockburn wrote last year. As for the broken telephone that led a “senior Iranian official” to report tens of thousands of Afghan fighters operating in Syria and that getting reported in Western outlets like the Guardian and Gulf-Western outlets like Al-Jazeera? Again, maybe. But the certainty with which these speculations are discussed and the ready quality of the phrase, “Afghan Shia Militias”, suggests some other function at work. Yesterday’s “African Mercenaries”, today’s “Afghan Shiite Militias”. The subtext is the same as it was with Gaddafi: if Assad has “Afghan Shiite Militias” fighting for him, what atrocity is he incapable of? The truth is a casualty of war. Propaganda operations are some of modern warfare’s most important strategies and no rebellion could afford to neglect them. The phrase “Afghan Shiite Militias” is a tool of the war, and it is no mystery why the Gulf monarchies and the rebels they sponsor would use it. What is harder to stomach is when people who have never met an “Afghan Shiite” and have no knowledge of Afghanistan repeat the phrase.